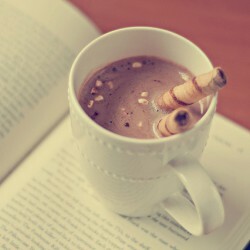 Ah, this was just the book that I've been looking for these past few weeks. I had really been in the mood for a sweet, feel good story. 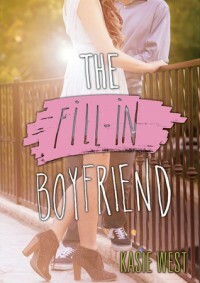 The Fill-in Boyfriend was the first book in a long time that I almost completed in one day. I almost stayed up to finish it last night, but I'm sick so midnight had to be my cut-off point. Was it predictable? Yes. Yes, it was. But I was totally OK with that. I was looking for a feel good book and I got it. It also had the stereotypical cast of characters: the mean girl who doesn't mean to be a mean girl, the actual mean girl, the best friends that may not like you for the right reasons, the geeky hot guy, and the misunderstood stoner-looking chick. I was mostly OK with this. On some level I do wish there was at least one less cliched character, and that's what kept me from giving this a full 5 stars. The upside is that I liked all the characters (even the actual mean girl to some degree - not because she had any redeeming qualities, but because I could understand her character). I really liked the romance that developed between Gia and Hayden. I liked the friendship that grew between Gia and Bec just as much. I really loved the growth that Gia went through. This is the first book that I've read by West, but it won't be the last. In fact, my library has two more of her books up for digital loan. I've already downloaded one of them. I'm hoping that I've found myself a new go-to author when I'm looking for a light, feel-good read.